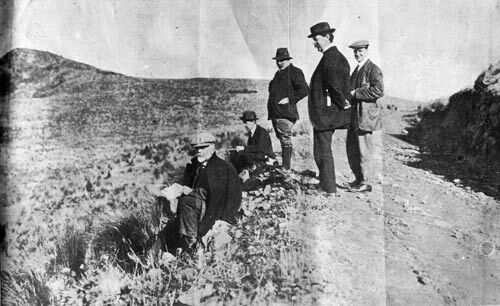 In 1914 the American geomorphologist W. M. Davis (seated, far left) visited New Zealand. This photograph was taken on Banks Peninsula. To Davis’s right are the New Zealand geologists Charles Cotton (sitting) and Robert Speight.